Tale of video game addiction gets over 7.4 million views in just 3 days. The new release, in which a bear falls victim to video game addiction, clocked over 7.4 million views on its YouTube channel in just three days. Within three days of its release on YouTube, a new episode of the hugely popular Russian animation Masha and The Bear – made by the studio Animaccord – had racked up over 7.4 million views, setting a new record for the channel. Called “Game Over,” the episode, which became available to viewers on Oct. 14, tells the story of a bear afflicted with an addiction to videogames, with even his closest friends unable to tear him away from the computer. The YouTube channel “Masha i Medved” has over 7.4 million subscribers from all over the world and can be watched in 22 countries. 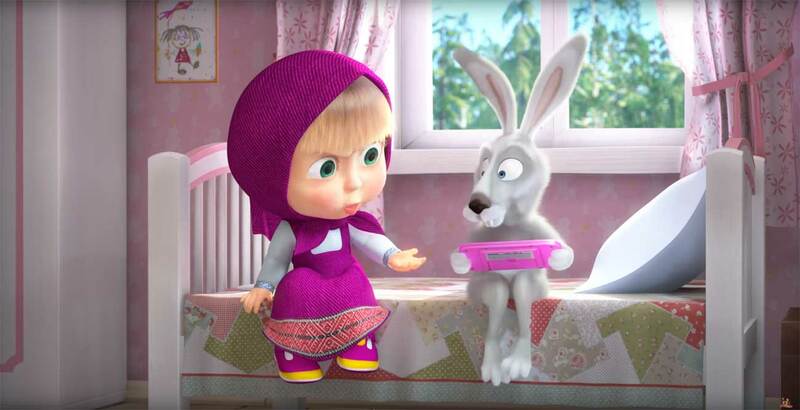 The episode “Masha plus kasha” (“Masha and Porridge”) has become the highest-watched episode on the channel, with almost 1.7 billion views.